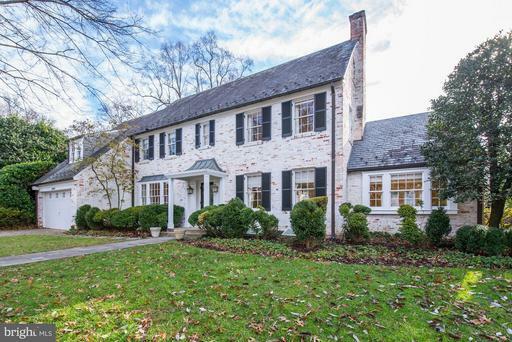 Classic Spring Valley Colonial has an ideal floor plan with over 5,000 square feet est of finished space. Features include custom built-ins, crown molding and four wood burning fireplaces. The main level includes a gracious foyer, powder room, formal living room with fireplace, music room, library, and eat-in kitchen with a window surround breakfast area. The second floor has a deluxe master suite with a dressing room, three additional bedrooms, and two additional baths. The third floor includes two bedrooms and a bath. Lastly, the lower level features a spacious family room with wet bar, exercise room, laundry room, bedroom and full bath. An attached garage, driveway, and rear terrace complete this fantastic home. Fantastic 3,700 sq. 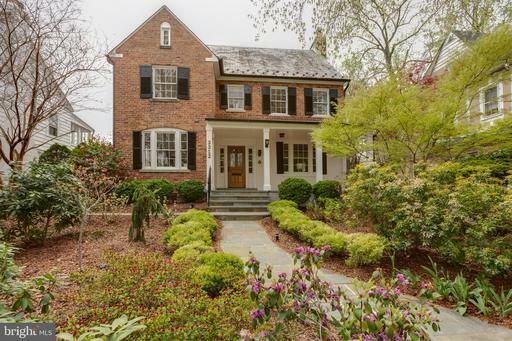 ft. est Cleveland Park home on elevated lot on quiet, tree-lined street. This sun drenched home has charming architectural details, gleaming wood floors, updated baths throughout. The main level features a welcoming foyer, living room w/ fireplace, library w/ built-ins, dining room, gourmet kitchen, powder room. The second floor has a deluxe master suite w/ large walk-in closet, Jacuzzi shower, 2 additional bedrooms, a full bath. The third floor includes two bedrooms and a full bath. Lastly, the lower level has a exercise/ family room, bedroom, a full bath. 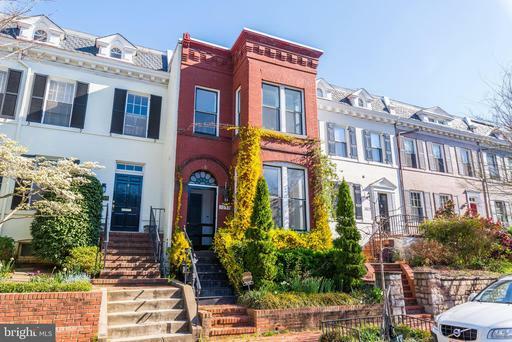 A spacious rear flagstone terrace and detached 2 car garage, completes this home. 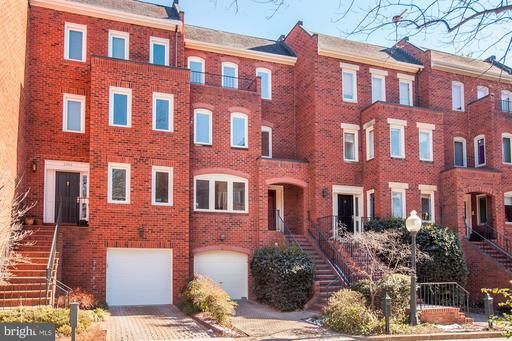 Fantastic condo in the heart of Palisades! Sun filled and studio with hardwood floors, fresh paint, huge walk in closet and additional storage closet, full bath and kitchen. 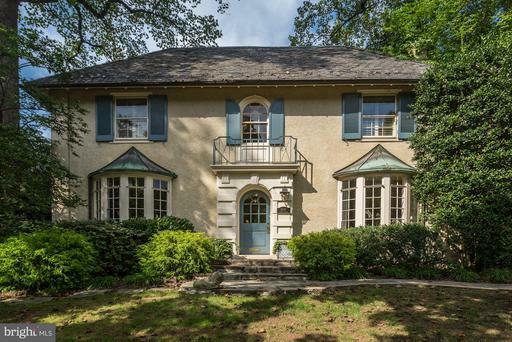 Incredible location w/ ample neighborhood conveniences and amenities incl. 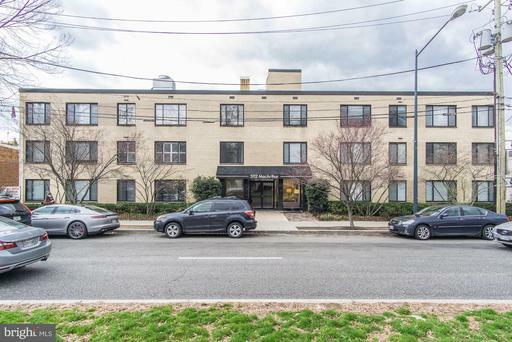 two Metrobus stops in front of the building as well as easy access to major commuter routes, Safeway, Starbucks, library, park, and many great restaurants within walking distance. Pets are welcome and utilities included in condo fee. Fantastic condo in the heart of Palisades! Sun filled studio has hardwood floors, fresh paint, huge walk in closet and additional storage closet, full bath and kitchen. Incredible location w/ ample neighborhood conveniences and amenities incl. two Metrobus stops in front of the building as well as easy access to major commuter routes, Safeway, Starbucks, library, park, and many great restaurants within walking distance.. Pets are welcome and utilities included in condo fee.